Remember when you were a kid and you wanted to be a musician, artist, or photographer, but everyone said you would never make a living in those careers? In a perfect world, all people could lead comfortable lives doing what they love, but for many that turns out to not be the case. So should you just give up on your passion, altogether? Absolutely not! Take these steps to ensure you can profit from your passion. It’s not always easy to make your passion into a profitable long-term career. You may be hesitating — wondering if it’s worth the risk. By doing some research on career options and marketability and earning yourself a degree, you can increase your chances of finding a job in your area of interest. Even if you still find yourself struggling, you can explore other interests or find another way to use your passion. Keeping reading to discover your options and learn the best way forward. Find Out the Secret to Making the Most Out of Your Passions. First, you should do some research and find out what kind of careers you can go into that are related to your interests. Dare to think outside the box. If you love to draw, hone your skills and look into a career of graphic design, animation, or even fashion design. Maybe you have a knack for teaching others and will combine your abilities to become an art teacher. Or, maybe you love caring for children, and have a bright future in early childhood education. Make sure to take important factors into consideration like job growth and potential average pay before you choose a career path. If one path doesn’t show opportunity, branch out and keep looking until you find one that does. Finding the right job isn’t just about personal enjoyment — it’s also about making sure you have the ability to honor other responsibilities and take part in life’s other little pleasures. Earning a degree can make you more knowledgeable and more marketable in your field. English majors can become teachers and writers. Music majors can become conductors or sound engineering technicians. Always remember to keep an open mind, and don’t think about your field too narrowly. There are career possibilities in places where you least expect them. If you don’t have the time and energy for brick and mortar schooling, online learning can open up new possibilities. Online programs from real-world universities, non-profit organizations, and sites like Coursera let you thrive in music, graphic design, interior design, computer science, creative writing, and thousands of other fields. No matter your interests, there is a degree available to suit your desired career path. If you still aren’t convinced your passion will be marketable, or you haven’t had luck building a successful career, consider other subjects that interest you. Perhaps you have another skill you enjoy that will be more marketable. Maybe you can branch out and create a whole new career by freelancing or starting your own business. You could also take classes in other subjects as electives — you may find you have other passions you never even knew existed! Not all number one passions turn into careers, but that doesn’t mean you should let your dreams go. You may even still be able to make a profit from your passion as a job on the side. Finding another career that interests you has its benefits — you develop new skills and become more well-rounded at the same time. 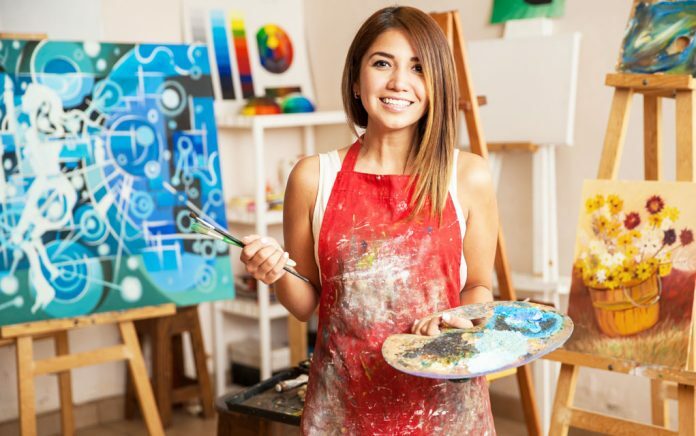 Often, if you believe in your passions and have the dedication and work ethic, you can find a way to turn what you love into a lucrative career. So don’t close out those chapters of your life just yet. You have the ability to take control of your future and spend your days with a career you love.